R.M. Dettmann Decorating Co., Inc. Comment: Repair rotted decorative beams. Comment: Some paint has cracked on some walls and some ceilings. Only one total room needs to be done and the rest of the rooms are ceilings. It's a small house built in 1939. Comment: Cape Cod house, cedar shake, small house, 2 gables, one side of house having wood replaced on one gable,(by different contractor and wood will be painted before putting up, but may need some touch up), other gable needs scraping and painting. Rest of house needs scraping, have some of it done, will be doing more, weather permitting, about 1/3 done as of now. Have shutters which have to be removed for painting but that is 2 screws and have and there are 14 shutters, Will also need gables painted on garage. Comment: Restain/paint our raised ranch home. About 3100 sq. ft. house. Like work done early summer. Last stained with Sherwood Williams Woodscapes solid stain. over XIM Peel Bond primer. Menomonee Falls Painting Contractors are rated 4.81 out of 5 based on 421 reviews of 31 pros. 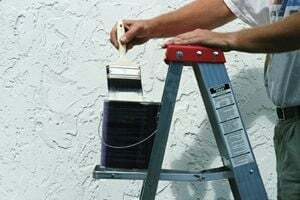 Not Looking for Painting Contractors in Menomonee Falls, WI?